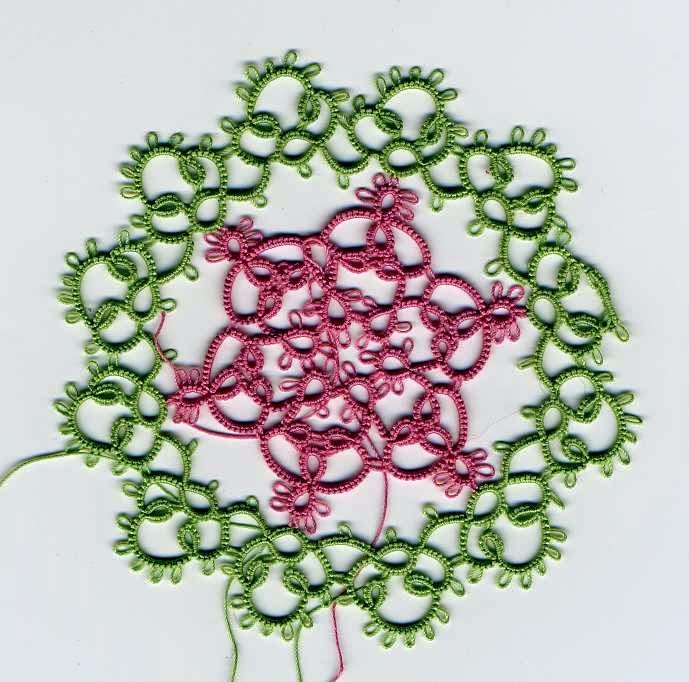 Here is Round 4 on Renulek's current doily. I elected to SLT before and after each rosette, so that I could work with one shuttle and a ball. In size 80, it is now approximately 5 1/2 inches across. Yes, I know everyone else is already on Round 5. I'll catch up eventually. Maybe. One could stop at this point and have a nice little doily, but I have lots of thread left, so I'm going on. At one point, I discovered a Dreadful Mistake, where I had left out the single ring between rosettes. The mistake was 7 rings back when I noticed, and that was too many rings to open and pick out. I was pondering where to make the cut for the best place for working in 4 loose ends, when I realized that wasn't necessary. I carefully snipped near the base of the rings, and teased out the core thread of the chains, and I was able to leave the green thread intact and wind it back on the ball. Just 2 thread ends were much easier to hide without a lump. Tatting got done this weekend. 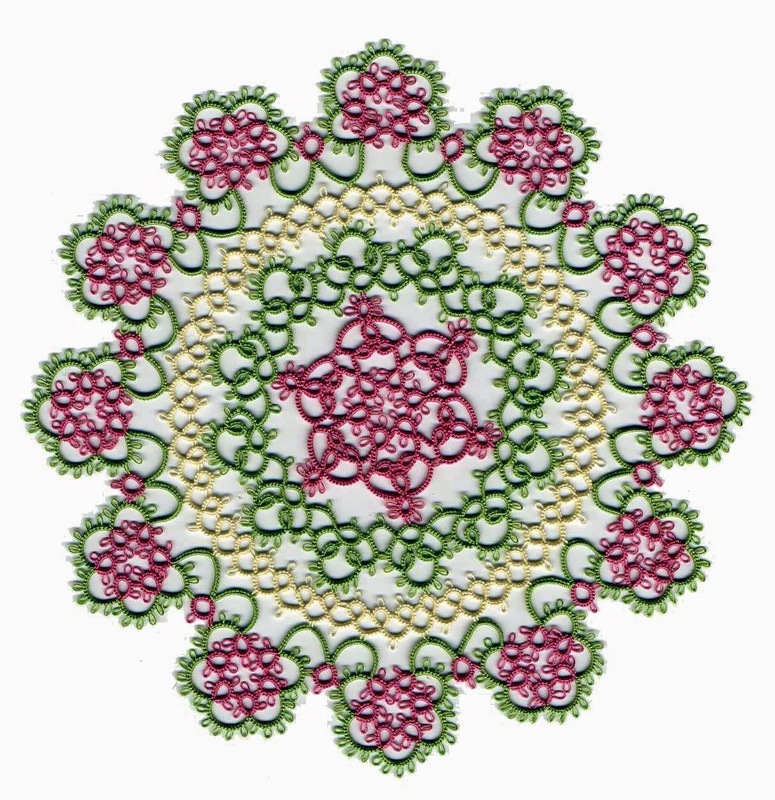 Look, here's round 3 of Renulek's now doily. And I found my needle case, so no more loose threads. And Jane's Tat-It-and-See project is done. It was lots of fun. I see now I've miscounted the rings on one handle. Oh well, everyone knows that some scissors have different sized handle openings. That's my story and I'm sticking to it. 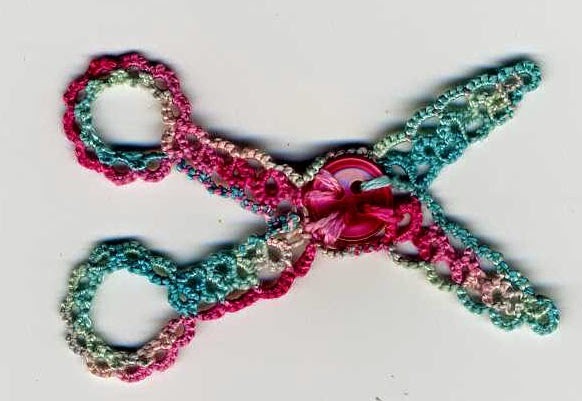 The scissors are made with Valdani Pearl Cotton that from DS9 Designs, color V108. The doily is size 80 DMC. I've decided to join Fox, Umi&Tsuru, and who knows how many others in making Renulek's 2015 doily. Each year(?) she shares a large doily pattern, giving out a round at a time. I really admire her work and love the way she takes traditional elements and puts them together. 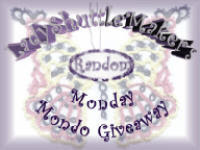 Watch her blog HERE for updates. I've been checking it compulsively, hoping the instructions for the next round will appear. The instructions are in the form of a clear picture, with the stitch count numbers added in. You have to be able to tell when to reverse work or switch shuttles, etc., so maybe not for beginners. And don't be intimidated by the language. There's a translate key on the upper left that works very well. Here are the first two rounds, a bit crumpled up from being stuffed in the baggie with the balls of thread. As always, I start a doily with high hopes and great anticipation. Unfortunately, my ratio of doilies started and doilies finished is not very good. 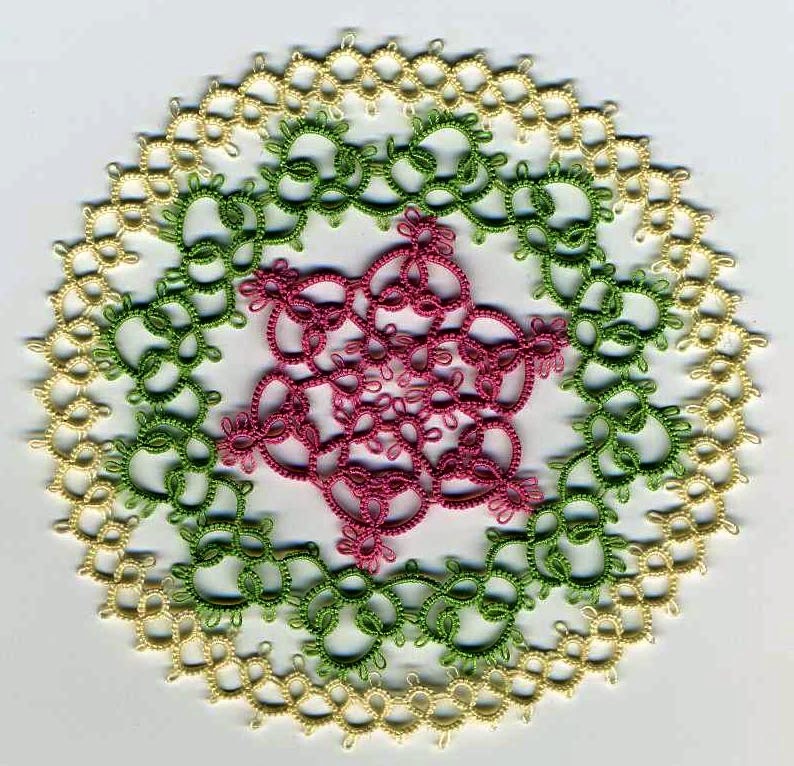 The last two times, my thread choice was to blame: balls of thread that look good together, but the colors in the actual tatting not working well at all; and then mixing different manufacturers' threads which turned out to be not quite the same size. Most often, it's just my rotten attention span though. I'll work in those ends once I remember where I left my needles. Don't forget, the deadline for teacher's applications for Palmetto TatDays is fast approaching!